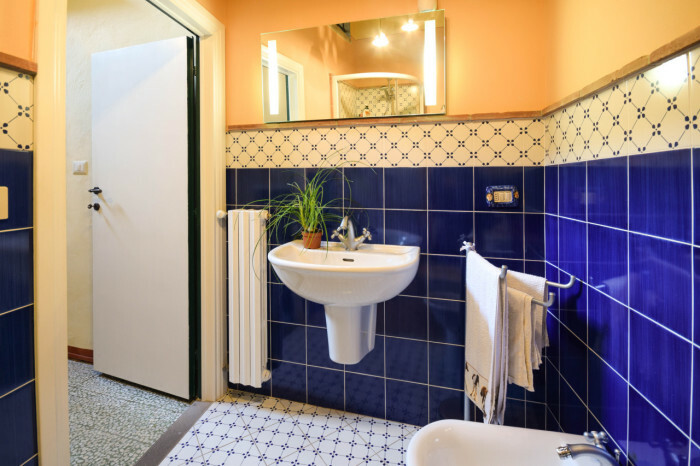 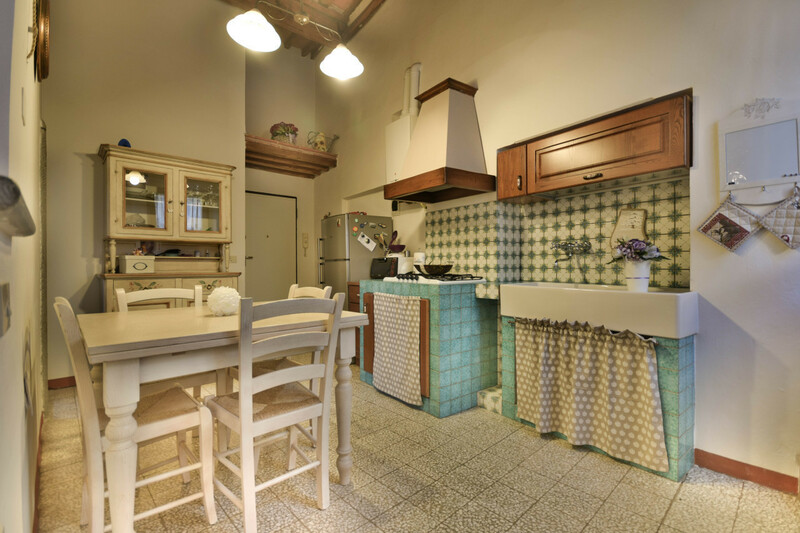 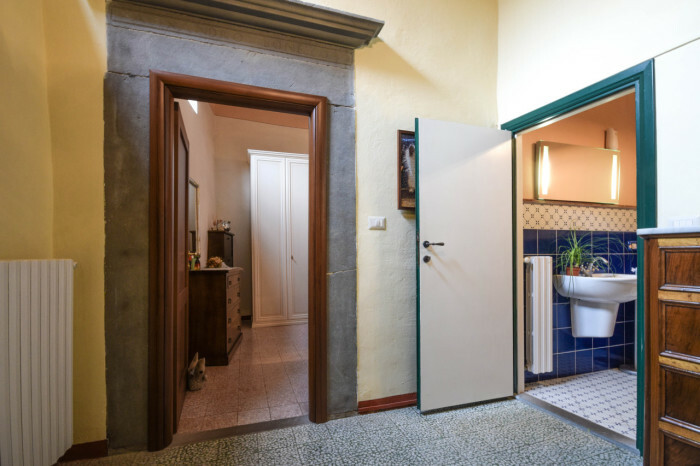 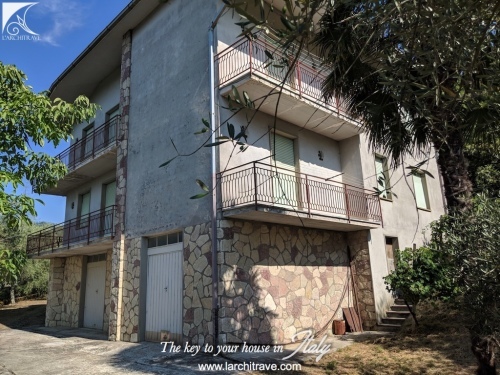 Cosy apartment of 70 sqm, on the first floor of an ancient building on the main street in the historical centre of Montopoli Val D'Arno, with a small separate garden and garage. 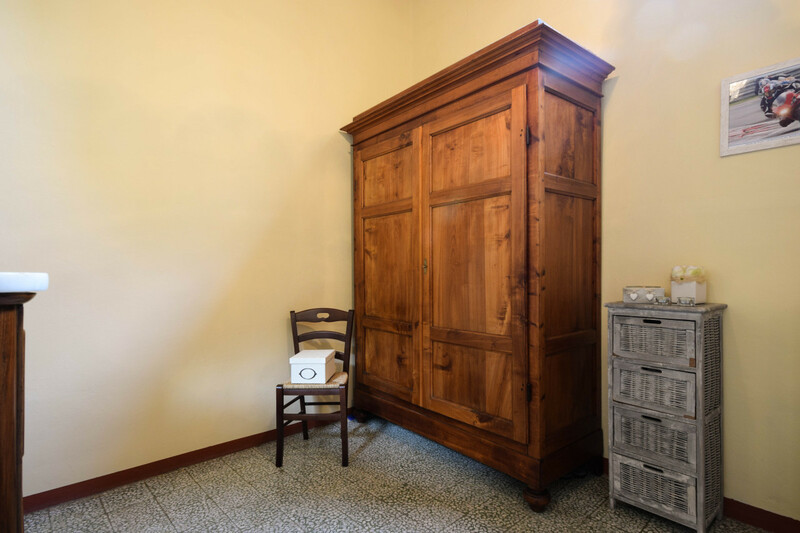 The apartment has been fully renovated retaining all the original features of cotto flooring in the lounge, graniglia marble in the other rooms and there is an original stone door frame dating back to the 1700s. The accommodation consists of: dining room with built-in kitchen, living room, bedroom, bathroom and a central room which can be used for many purposes, for instance as a study. 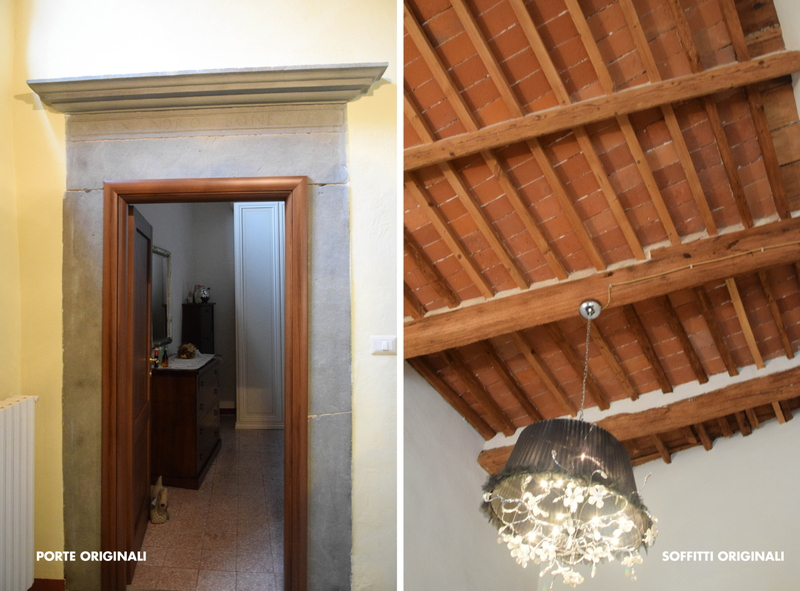 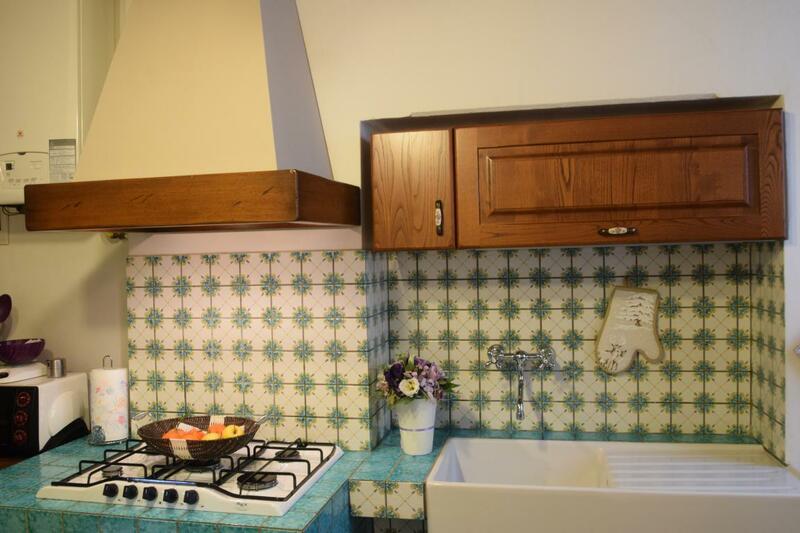 The house has been recently refurbished but the original details are still intact and well maintained. 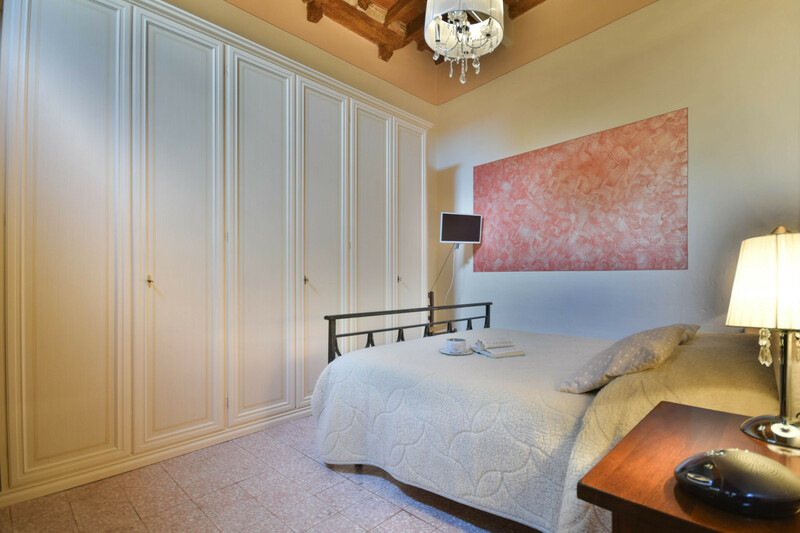 The height of the ceilings offers the opportunity to create a mezzanine level. 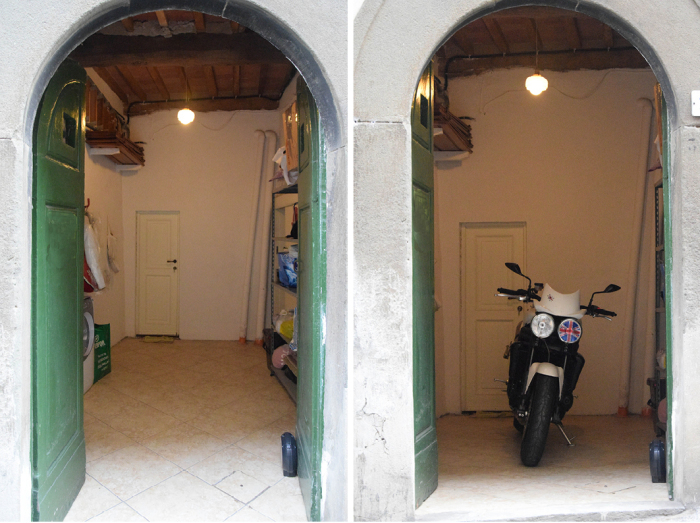 A cantina/ garage is located on the ground floor and opens onto the main street. 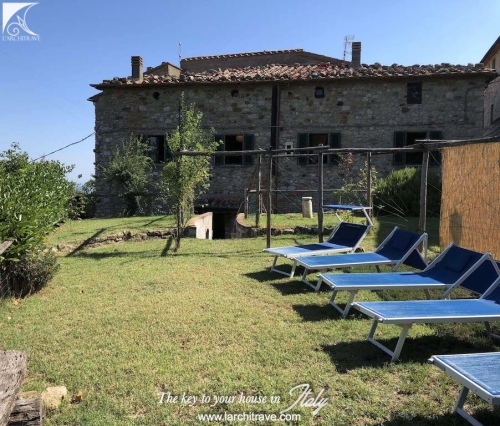 To the rear of the building there is a fenced garden of 54 sqm with a paved area and a lawn and with fantastic views of the countryside, where there is a table and barbecue to enjoy the warm summer evenings. 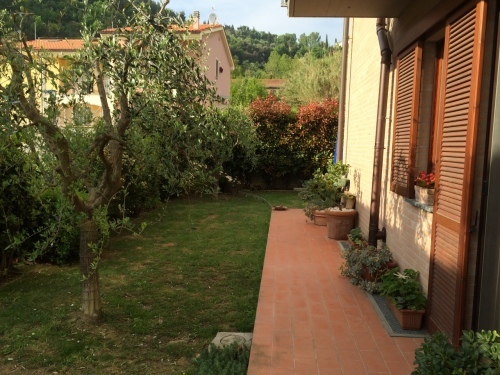 Additionally there is a plot of land of 45 sqm currently used as a vegetable patch. 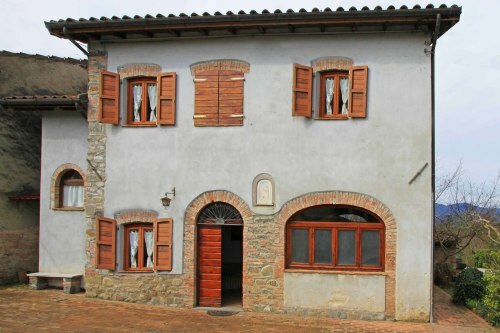 There is a warm and welcoming atmosphere in the centre of the small village; just stepping out from the main door downstairs you can walk into the quiet street, buy some warm and bread at the bakery across the street, drink a cappuccino at the bar or have dinner at the excellent restaurant 'I Quattro Gigli', or visit the butcher, to the pharmacy or to the bank. 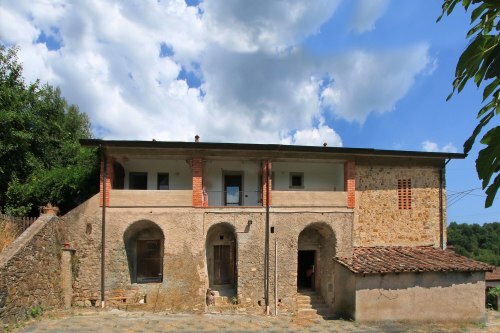 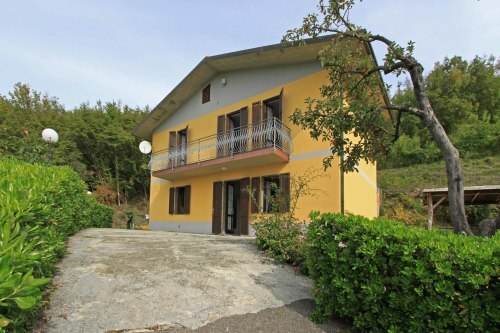 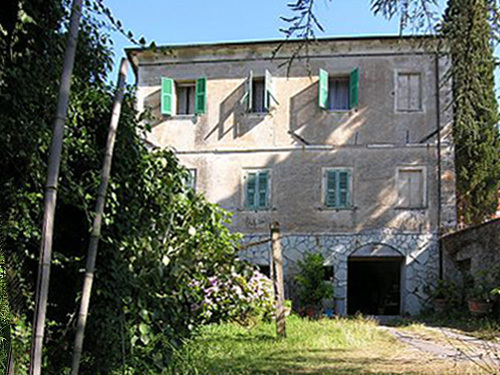 This property is for people who love Tuscany and there is no need for a car - everything is on your doorstep. 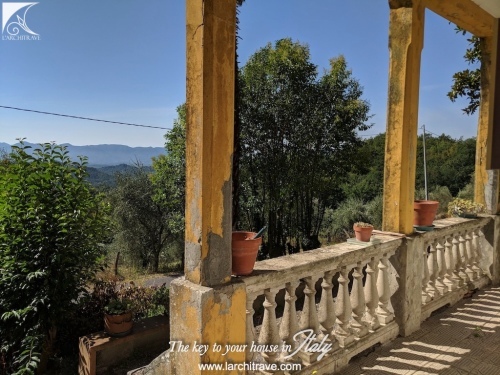 Just outside the village is wonderful countryside: the country lanes crossing the hills are perfect for walking, horseback riding, biking, bird watching or even truffle hunting with a well trained dog. 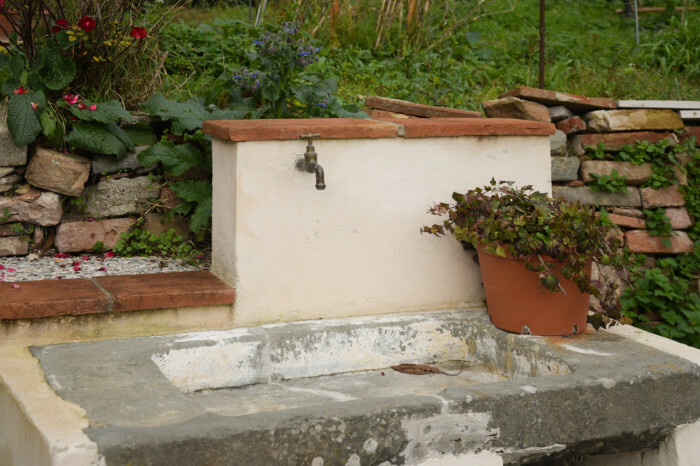 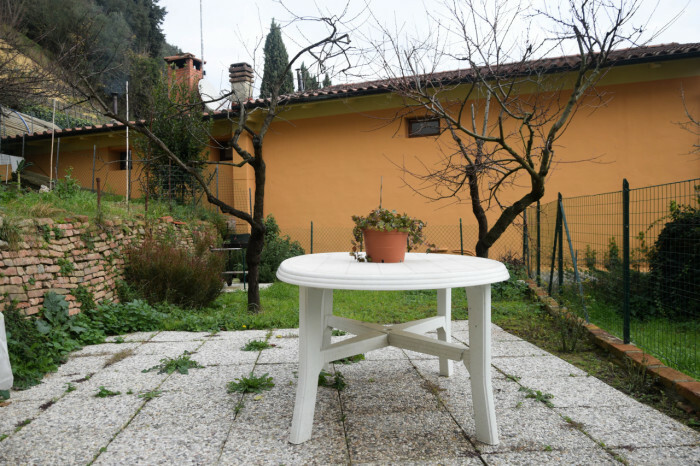 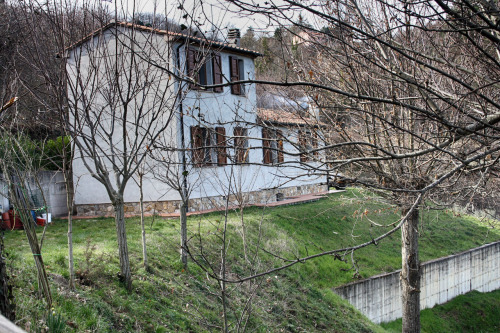 Casa Arianna is situated in the centre of Montopoli Val D'Arno, a medieval village, half way between Pisa and Florence. 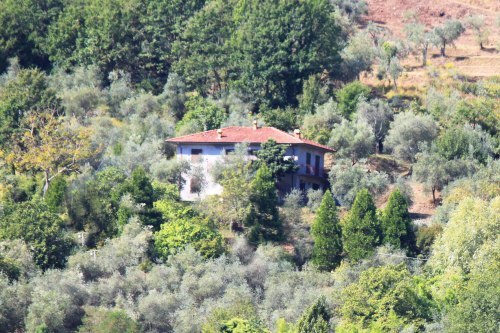 Montopoli is truly in the heart of Tuscany. There are many interesting places to visit: San Miniato, has a Diocesan Museum and is famous for the white truffle; the town of Vinci is the birthplace of Leonardo da Vinci and hosts a wonderful museum in his honour; Montelupo Fiorentino hosts an important museum of Renaissance ceramics works; and Artimino, with a collection of wonderful Medici villas. This area has been continuously inhabited since the Etruscan time: almost all the villages in the surrounding hills already existed in ancient times and it is not a rare event to come across Etruscan finds and archaeological excavations. 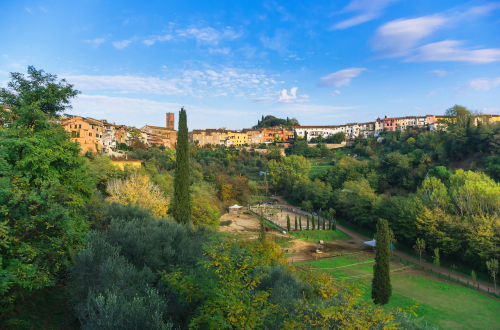 Distances: Pisa (airport) 40 km, Florence 50 km, beaches 40 km, Volterra 50 km, San Gimignano 45 km, Lucca 40 km, Siena 80 km.